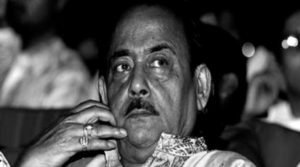 79-Year-Old Chinmoy Roy, a legendary Bengali actor who is known for his great work in comic roles passed away after he had a heart attack on Sunday. 79-year-old Chinmoy Roy passed away on Sunday Evening inside his house at Salt Lake. Chinmoy Roy was born in 1940 in Comilla, which is now called Bangladesh. Chinmoy started his career in a theater in Bengal before he debuted in Galpo Holeo Sotyi in 1966 with Tapan Sinha. Chinmoy Roy won a lot of hearts after he took part in movies like Subarno Golok, Nanigopaler Biye, Mouchak, Dhanyi Meye, and Basanta Bilap. Chinmoy was also part of Satyajit Ray’s Gyne Bagha Byne, a classic. A lot of people started to recognize him after he played the fictional character called Tenida in Charmurti, a movie that was released in 1978.